I have been quite busy these past months planning and managing a loft conversion in our London house. All the work was done while tenants were in the house, and we’re grateful for their patience, understanding and help. We also have to say a big thank you to Dave, Lewis and everyone else at The Loft Specialists who did a great job. They were professional, communicative and considerate all the way through. I have already recommended them to 2 friends. We are very pleased with the outcome, as it really does look lovely, and I think it transforms the house. 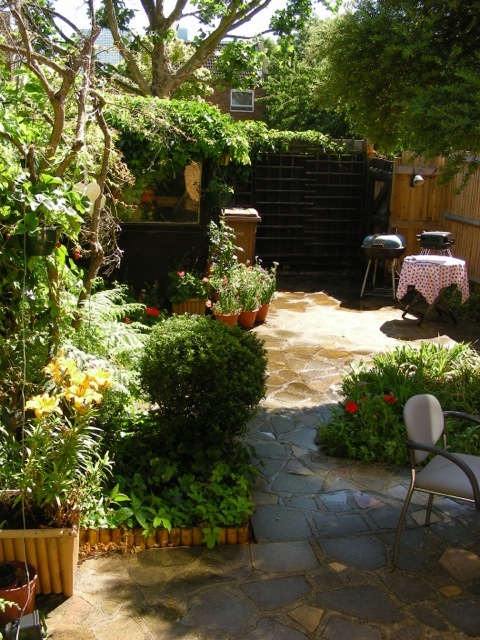 As you can see from the picture below, our tenants take a huge amount of pride in the garden and it always look beautiful. We have been improving the house bit by bit over the past 10 years. It always was a lovely welcoming house, but I do think that it is even lovelier now. It also means that we are have a room free in the house which is available from 1 May. If you know of anyone who may be interested, please do contact me.